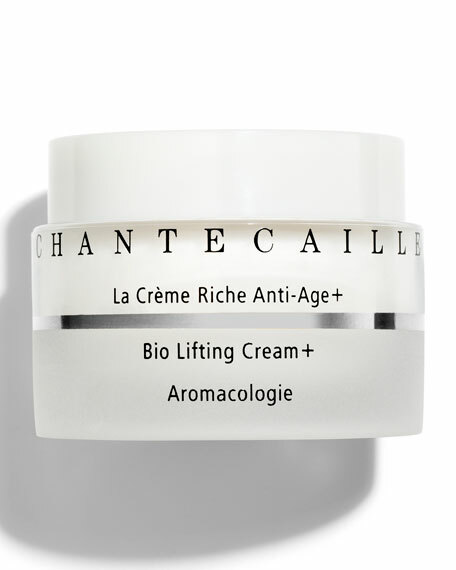 Chantecaille Bio Lifting Cream +, 1.7 oz. 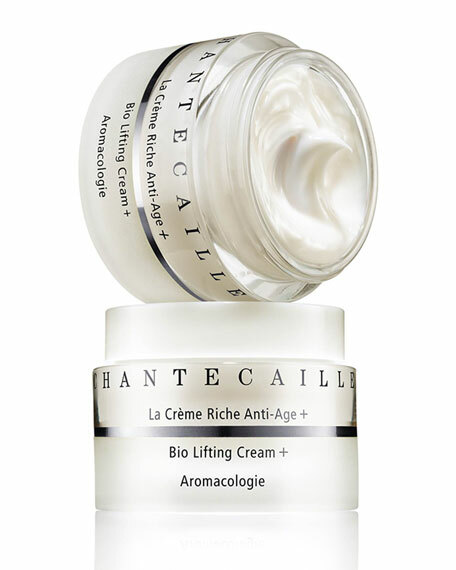 ChantecailleBio Lifting Cream +, 1.7 oz. The velvety smooth crème riche is infused with five extraordinary plant stem cellsBionymph Stem Cell Extract, Plantago Stem Cell Extract, Caffeine Free Coffee Stem Cell Extract, Daphne Stem Cell Extract and Raspberry Stem Cell Extract -- that reduce the appearance of fine lines and wrinkles and visisbly lift and plump helping reveal a perfect 3D re-contoured look of the face*. Apply to face, neck and décolleté. May be used day and night. Ideal for use on dry skin and in cold weather. The formula can be massaged into the forehead, brows under eye, cheeks jawline/neck or neck. Bionymph Peptide Stem Cell Extract fights the anti-aging process on all fronts softening the appearance of fine lines*. Raspberry Stem Cell Extract is a major anti-oxidant that soothes visible redness. Prevents oxidative damage. Soothes dry skin immediately and in the long term*. Imperata Cylindrica Extract, known for its ability to thrive in arid climates, helps skin retain moisture efficiently  even in the driest weather. Moisturizes the upper layers of the skin for up to 24 hours*.